The elusive Sasquatch, otherwise known as Bigfoot, has long captured the imagination of Americans but one weather anchor recently had a close call with the beast or some kind of strange marijuana monster impostor. 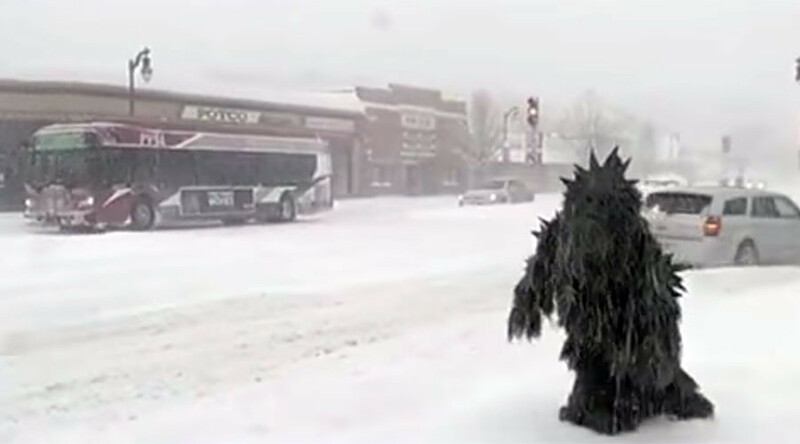 WWLP meteorologist Jennifer Pagliei was broadcasting from Springfield, Massachusetts, during the worst snowstorm to hit the region so far this season, when the mysterious marijuana monster appeared behind her. I have studied the #potsasquatch video and determined it is not a costume. I comprehend these creatures better than anyone. Trawling through the snow, the pot-covered sasquatch seemed unperturbed by the severe weather, before presumably heading back to its hazy habitat. Massachusetts joined the growing list of states to legalize cannabis for recreational use in November, it seems the law has had some unexpected results with at least one user mutating into a giant plant.